Footwear and apparel companies have to be transparent, but few can devote the resources to deal with the proliferation of databases and platforms out there. That's why we're proud to announce a one-stop-shop for fashion transparency: a software platform for data collection, analysis and reporting that combines internal company data with supplier self-assessments and the best-available third-party data. Read about it in our latest flier by clicking below. 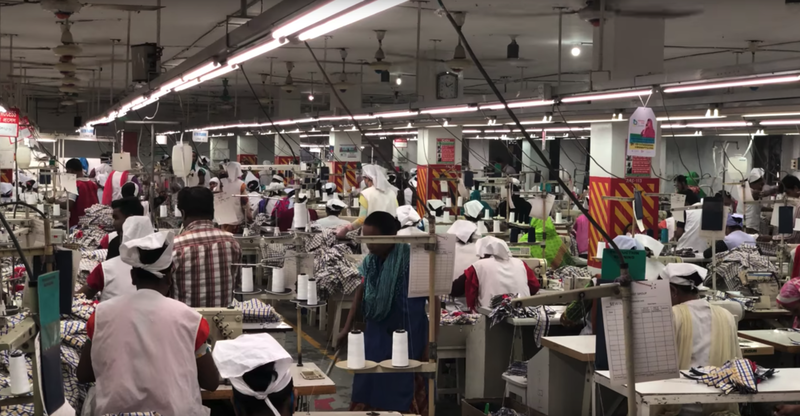 Sourcemap, a New York City tech start-up is building a platform, that could transform the fashion industry: a digital map of all clothing manufacturers in Bangladesh. 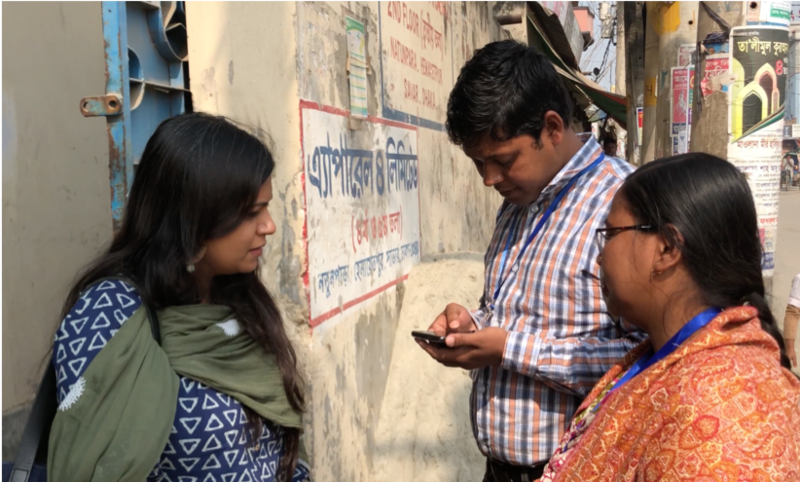 The Sourcemap team travelled to Dhaka, Bangladesh last month to kick off the door-to-door census of every garment factory in the country: a Digital Ready-Made Factory Map of Bangladesh. Local data collectors equipped with mobile apps have begun to amass thousands of GPS-linked data points collected on the ground from factory owners, workers and organizations. As this data is fed into Sourcemap’s supply chain mapping and transparency platform, we will be able to provide global apparel brands and consumers with radical transparency in one of world’s largest garment producing regions. The timing of the project is critical. April 24 will mark five years since the factory collapse at Rana Plaza outside Dhaka that took the lives of 1,135 people. North American and European apparel brands have already announced their intention to walk away from the safety tracking programs formed in response to the tragedy once they expire in May. Sourcemap is partnering with C&A Foundation and BRAC University (BRAC U) in Bangladesh to administer the survey. Together, we will create a new digital factory map that will democratize data collection and transparency by permanently transitioning accountability for factory improvements to Bangladeshis. While on the ground in Dhaka, our team witnessed just how critical the garment industry was to Bangladesh. The industry employs approximately four million people. Alarmingly though, most workers report to factories that are invisible on the supply chain – even to the multinational brands ultimately purchasing their products. The BRAC U survey will put each of these factories on the map. In addition to factory and worker statistics, types of products manufactured, the names of clothing brands that each factory manufactures for will also be captured. All data will be uploaded on Sourcemap cloud servers and visible to the public. Ultimately, this transparency will increase the accountability of brands, decrease risk to workers, and add value to Bangladeshi products. For too long companies have wanted to know more about their supply chains, only to be discouraged by the time and the resources needed to go it alone. That’s why we’re introducing a new kind of social network for brands and manufacturers within an industry to map their shared supply chains and collect data every step of the way – data essential to establishing benchmarks for social and environmental impact. We’re thrilled that the Green Electronics Council selected our Supply Chain Communities for this year’s Catalyzing Disruptive Innovation award at CES Asia, and look forward to working with the industry to advance visibility and sustainability throughout the global electronics supply chain. SHANGHAI, CHINA – June 8, 2017 – The Green Electronics Council (GEC) announced at CES Asia today that Xerox Corporation, a global document solutions, technologies and services corporation, and Sourcemap, Inc., the supply chain transparency company, won its 2017 GEC Catalyst Awards. GEC’s annual Catalyst Awards seek to inspire innovation in the design, manufacture and use of electronics to advance global sustainability. GEC’s Catalyst Awards honor sustainability achievements in two categories. The “Catalyzing Impact at Scale” award recognizes the large-scale impact leading corporations can have when changing the design, manufacture and intended use of their products. GEC’s “Catalyzing Disruptive Innovation” award recognizes cutting-edge technologies that raise sustainability to a whole new level. Xerox won the Catalyzing Impact at Scale Award for a global reverse supply-chain initiative that methodically analyzes ROI for remanufacture, refurbish, parts reuse, recycle, and broker sales. Sourcemap won the Catalyzing Disruptive Innovation Award for its supply-chain transparency community that ensures the sustainability of supply chains down to the raw material. An independent, expert Judging Committee selected the top Catalyst Award Winners and, for the first time, recognized three special Honorees. LG Electronics and Cisco Systems were each named “Catalyzing Impact at Scale” Honorees. A collaboration between Vodafone and Good World Solutions was selected as a “Catalyzing Disruptive Innovation” Honoree. Xerox has long been recognized as an industry leader in end-of-life management, and over the past few years Xerox has optimized the global reverse logistics system to further enable a sustainable supply chain. The optimization utilizes a centralized control system, which calculates the value associated with sending a product through one of five potential processes, then selects the process that will create the greatest value. Through this optimized system and process improvements, Xerox has realized millions of dollars in cost benefit, achieved significant greenhouse gas savings and enabled numerous social sustainability benefits. Sourcemap’s Supply Chain Transparency Community is a powerful new approach to providing industry-wide assurance of sustainability and compliance across the extended supply chain. 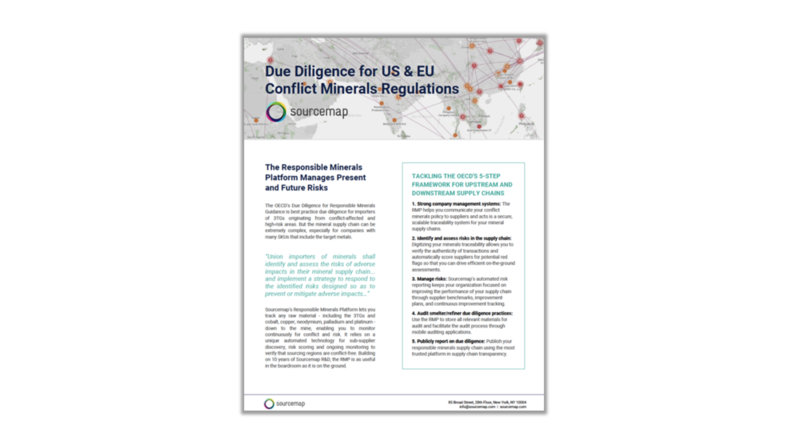 It works through a shared repository of pre-competitive information on suppliers’ social and environmental performance fed by real-time data from a supplier social network, independently verified by machine learning algorithms and independent auditors. For the first time brands can achieve continuous supply chain assurance at low cost, while suppliers benefit from visibility and actionable benchmarks to help achieve best-in-class performance. The five Finalists for the 2017 GEC Catalyst Awards were the Chinese Environmental United Certification Center, Kaiser Permanente, Pacific Gas and Electric Company, toxnot PBC, and Umicore. The Judging Committee for the 2017 Catalyst Awards included Walter Alcorn, Vice President, Environmental Affairs and Industry Sustainability at the Consumer Technology Association; Michael Massetti, Executive Partner, Supply Chain at Gartner; Karen Pollard, Environmental Protection Specialist at the U.S. Environmental Protection Agency; Steve Rochlin, Americas Co-Manager at the Global E-Sustainability Initiative; Joel Sutherland, President of Envoy Inc.; and Matthew Swibel, Director, Corporate Sustainability at Lockheed Martin Corporation. GEC announced the winners at CES Asia in Shanghai, China as an official program partner of the Consumer Technology Association (CTA). Past GEC Catalyst Awards winners include PuzzlePhone, AMD, and Dell, Inc. The 2018 Catalyst Awards theme will be announced later this year.